our annual NOT-TO-BE-MISSED shopping extravaganza! holiday gifts, lovely ‘necessities’ for the home….and of course, a little something special for your grand, wonderful deserving self! let’s face it – there’s no gray area – the choice is black + white – you simply MUST JOIN US! guaranteed to be a colorful event – bubbly + bites, giggles + swinging tunes…and beautiful things for you, your home, your friends + family! jewelry + personal accessories, textiles, sustainable gift wrap, graphic papers + some surprises, i am sure….and other items in the Artefact Home Collection. it’s 2018 and we will be travelling to nyc, asheville nc, paris, spain, high point, maine + beyond seeking beautiful new items for the shop – to make room we are having a SALE! select furniture, lighting, tabletop, textiles, jewelry, campo de fiori terra cotta + other decorative accessories – 20% to 50% off during our SALE. we are thrilled with our fantastically talented, uber cool band of ‘merry ladies + man” this year: jeweler hannah blount, sophie truong of stitch + tickle, ceramicist lily fein, keith + suzy waters of Pilgrim Waters, the oh so nautical chic Sailormade + the brilliant Sarah Canner with her ‘reflective haute couture’ – intriguing, right!!!! artefact home | garden is thrilled to host tom verellen and his industry partners from libeco and moore + giles as they guide us through the craft of luxury furniture. 2 CEU’s. we will be serving bubbly + savory plates provided by our “belmont go to” – the spirited gourmet! just up the street – the creme-de-la-creme – worth a visit! saturday, november 26th – 10am to 6pm – bring a friend! it’s SMALL BUSINESS SATURDAY! 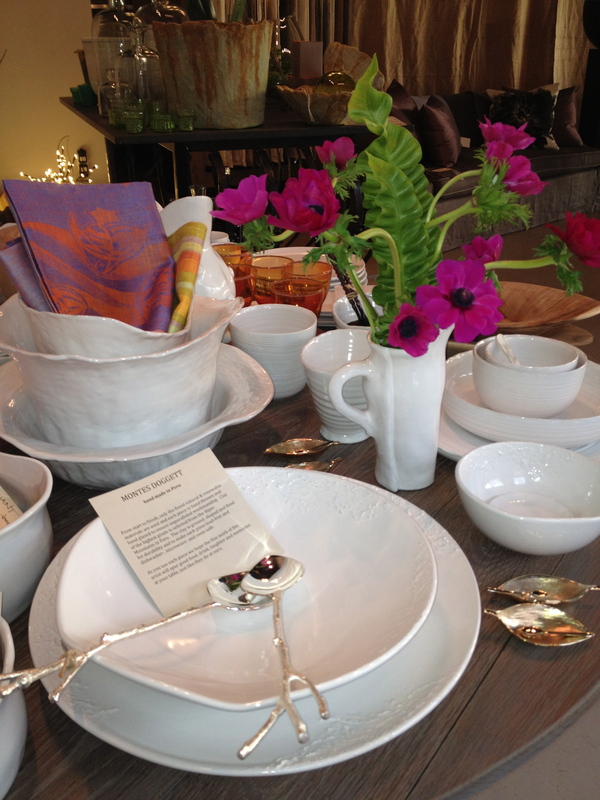 come enjoy Artefact’s light + airy shop filled with wonderful things for your home – fantastic gifts – beautiful furnishings – a bit of holiday cheer – bring a friend! saturday, december 10th – 12noon to 5pm – bring a friend! boy oh boy oh boy – did we have fun last year!?! 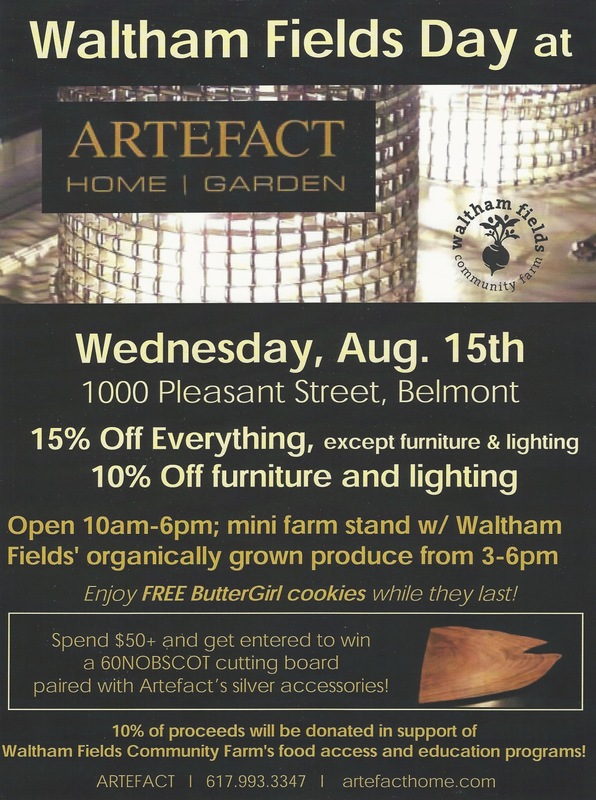 artefact home|garden is excited to be hosting its 2nd HOLIDAY TRUNK SHOW! a great day for gifts – self-gifting is heavily encouraged – and a drop of the bubbly may help you make your choices! shopping for yourself? – things for the home – ‘hoots + giggles’. stay tuned for more about the special artisans that will be here – graphic cashmere, linen + wool scarves + shawls, stunning jewelry (baroque pearl earrings anyone? ), italian leather + kidskin pocketbooks + bags, leather + brass belts, bracelets, keychains, table|trays, really cool ceramic plates + bowls – and whatever our friends from studio ks have going…and more. don’t miss out – more information to come as the date draws near! verellen here we come! we are off to see what’s new….what’s still fabulously perfect “just the way it is” (maybe with a new fabric or color)…and what we think our clients would like. 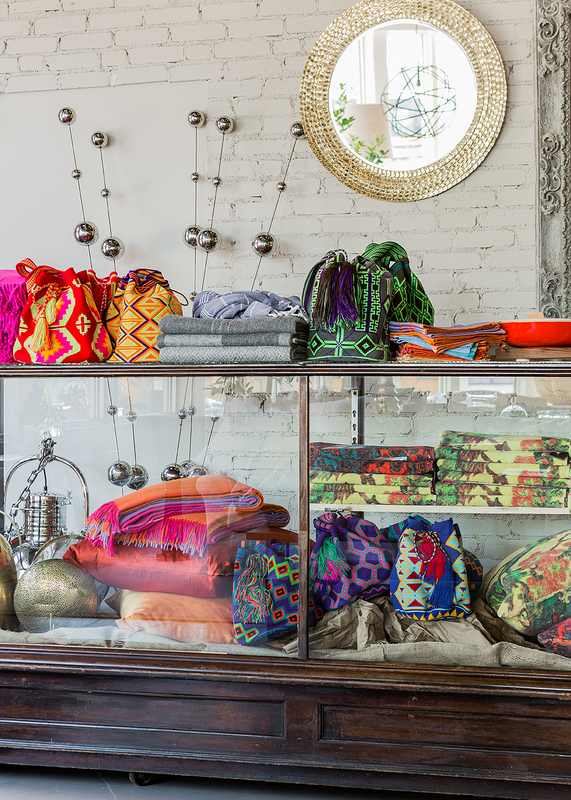 verellen’s showroom is the most beautiful + exciting in all of high point. decoupage plates, copper gingko mobiles, artisan tablewares + blown glass decanters, handsome serving boards, verellen furniture (the ultimate gift – a nice hide pouf? ), tatine candles, wool blankets in vibrant colors, “holiday trees with character”…. Susy Pilgrim Waters and Keith Waters are partners in PilgrimWaters. Together, they create and manufacture a line of practical, beautiful products and surface designs, from tabletop to canvas and wool accessories. 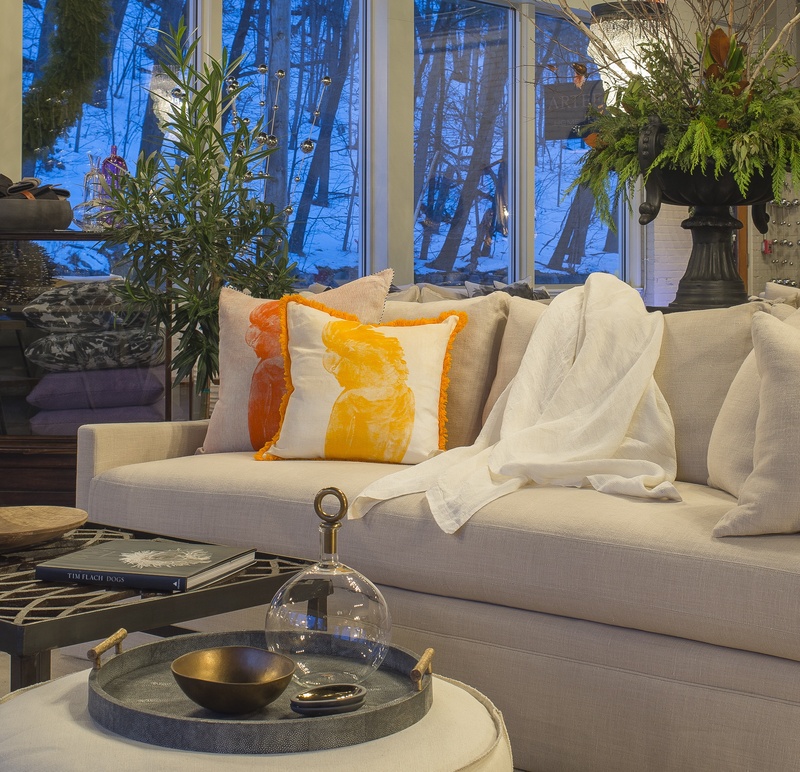 Born and raised in Great Britain and now based in Boston, Keith and Susy’s range of home and apparel products draw on their professional backgrounds. Susy is an award-winning illustrator with clients such as Travel & Leisure, the New York Public Library and Crate & Barrel, and Keith has pioneered software in computer graphics. Their experience informs the modern, handcrafted aesthetics and expert fabrication of PilgrimWaters goods crafted in the USA and overseas. Functionality is key in PilgrimWaters’ products – with color, natural materials and graphic elements all coming together in products such as elegant scarves, tea towels and trays. Stitch and Tickle is a line of handmade leather bags and accessories designed by Sophie Truong. All items are made one by one in her studio at the Boston Center for the Arts, in the city’s historic South End neighborhood. Born in France, Sophie studied International Business in Paris before moving to Boston in the early 90’s. While working in the corporate and nonprofit world (her last job was with the Museum of Fine Arts, Boston for 10 years as a Product Development Manager and Buyer), she started feeling the pull of a more creative field and she discovered art making in her early 30’s. Sophie used found textiles and unconventional sewing techniques in her artwork and it gradually became clear that fiber arts was her medium. A recurring theme in her work revolved around hyper-consumerism and the waste our society generates. So it seemed natural that, when investigating her own business, she would choose to do something ethically sound by making handmade items, locally. In 2011, while unable to find a bag that would fit her taste and needs, she started playing with leather and Stitch and Tickle was born! Truong’s process creating bags is the same as in her artwork: it is intuitive and tactile, so the leather she disovers always dictates what the final product will be. Yet, all bags have the same qualities: they are simple, beautiful, functional and timeless. local author Adam Tocci will be at Artefact Home|Garden from 4pm to 6pm signing his latest literary venture BULLSEYE! 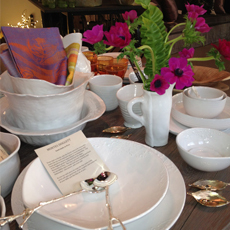 A great way to stock up on gifts, table top (thinking ahead to the holidays) and home accessories…perhaps a sofa? AND support a local program that benefits people in our community. 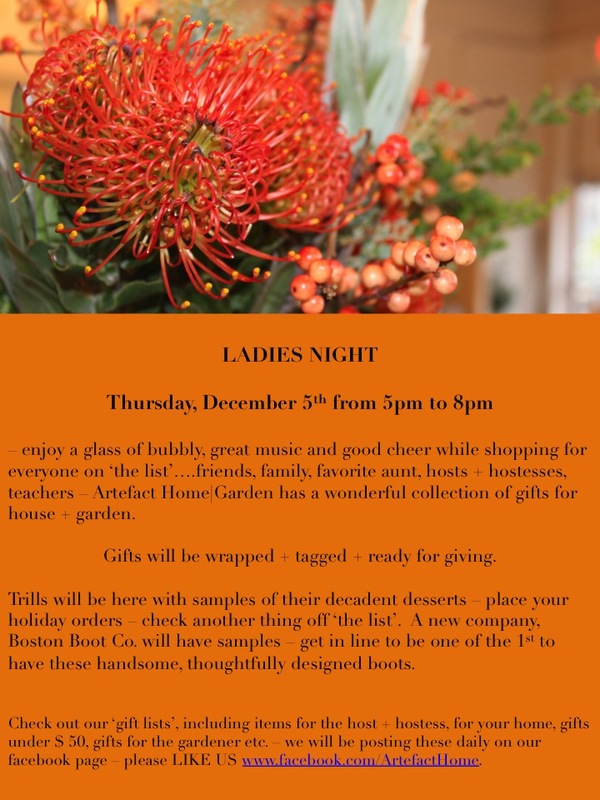 Join us for an afternoon of inspiration, holiday and gift ideas, laughter and good cheer! We believe great design is created everywhere and while some of the beautiful pieces showcased in their shop are sourced globally, many are designed and crafted in the USA. 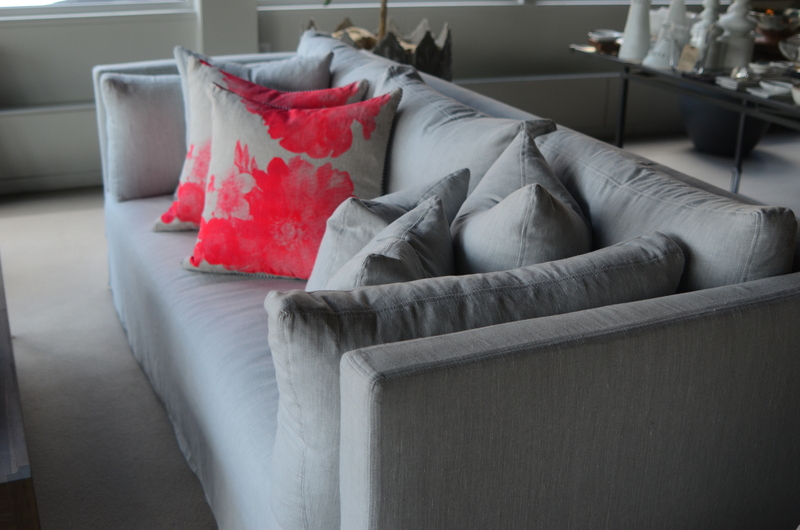 “We are delighted when we find distinctive design and superb craftsmanship in the Northeast”. Ryan & Wood Distilleries, Gloucester, MA – 1pm to 4pm – craft distillers of artisan vodka, rum and gin. Artefact will be serving Folly Cove Rum punch. 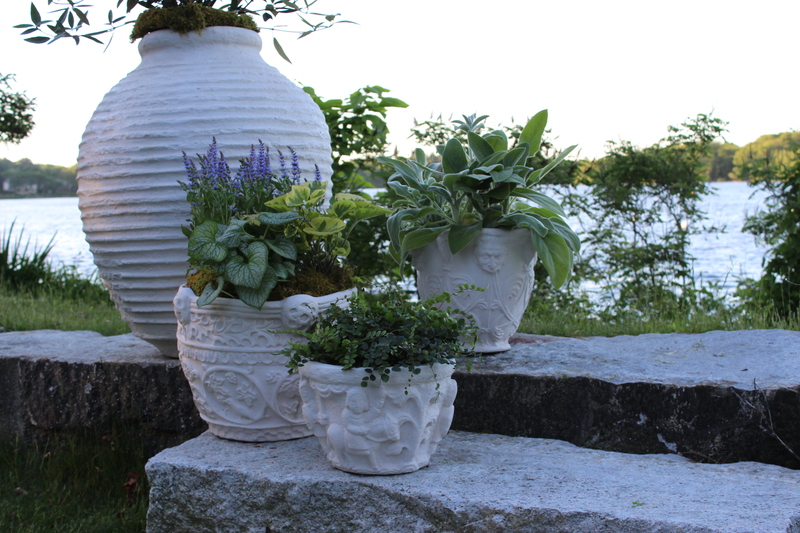 Other local wares available at Artefact Home|Garden include Pennoyer Newman, fine planters cast from estate originals, created in New York, NY; LBK, Laura Kramer, blown glass made in Providence, RI; Dunes & Duchess, candelabras & lighting; and Alison Evans, tableware with ‘oyster crystal’ glazing, Yarmouth, ME. The online auction has bidding open until March 25th. Support the Foundation with your bids. Join us on Saturday, April 14 from 5:30-8:30pm for a silent auction to benefit the Waltham Fields Community Farm. There will be live jazz, delicious food and an open bar, all at the Charles River Museum of Industry. We are delighted to announce that we have been selected to participate in the Wellesley Kitchen Tour on May 5th from 11am-3pm. This self-guided tour brings over 500 visitors through six private homes in Wellesley. The money raised from ticket sales goes to benefit the Wellesley Hills Junior Women’s Club.